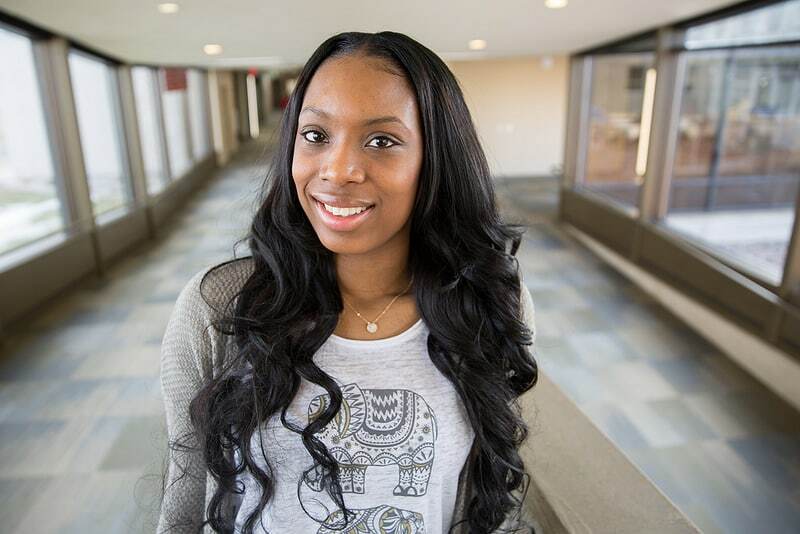 For many high school graduates, it’s four-year university or bust. 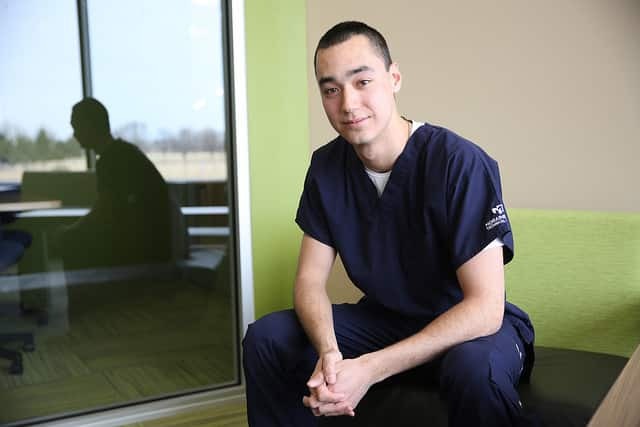 This was the mindset that Moraine Park Technical College nursing student Jonathan Szczesny had as he considered his college career. He had his sights set on a UW System school, but after realizing the opportunities and financial practicality of Moraine Park, his mind was changed. Enrolling at a technical college meant that he could not only earn his degree faster, but immediately enter the workforce and even work toward other degrees and certifications while working in the field he loves: Nursing. Szczesny recently completed his first core semester on the Dean’s List and is accepted into the nursing program at Moraine Park’s Beaver Dam campus. Following graduation, Szczesny plans to work in the field as an RN, immediately return to school and earn a bachelor’s degree in nursing, and possibly pursue a career with the U.S. Navy Nurse Corps. Like so many high school students, a trade school education was not on Szczesny’s radar. However, between the cost savings, small class sizes and dedicated staff, he encourages students to consider a technical college. 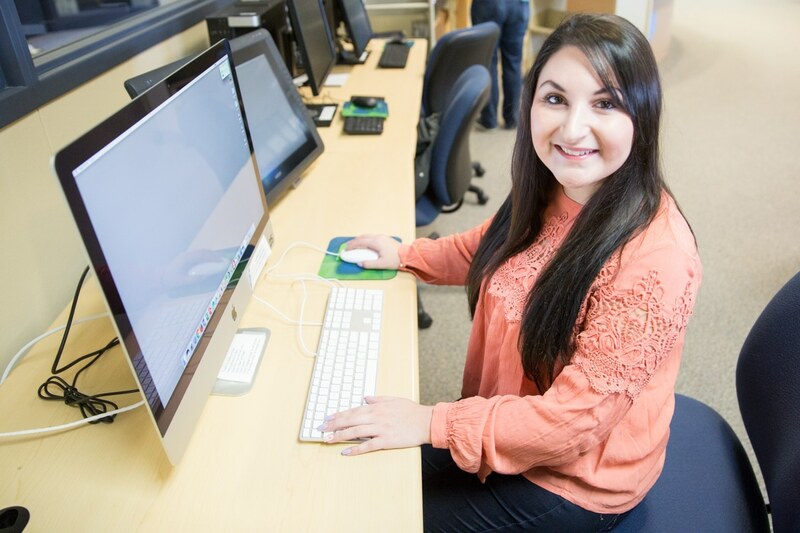 “A technical college is a great choice for both new high school graduates and working individuals looking to advance themselves in the workforce,” Szczesny said. With acceptance into the core nursing program under his belt, Szczesny is ready to take on the remainder of his educational career at Moraine Park by storm and urges high school students preparing for college to not immediately discredit a small technical school. Ladies, have you ever thought about a career in IT but don’t know a LAN from a WAN, a server from a switch, a router from a hub? Does the thought of taking apart a computer terrify you? You’re not alone! If you are interested in testing the waters to see if a career in IT is for you, we invite you to participate in our introductory course to help ease your fears and make that leap! In honor of Women’s History Month and International Women’s Day coming up on March 8, here’s 10 interesting (and, sometimes frustrating) facts about women in today’s workforce. Take a look! Also, if you’re a female curious about career options outside of “the norm” … smile. We’ve got an event coming up just for you! Our unique Jane of All Trades event is March 7! 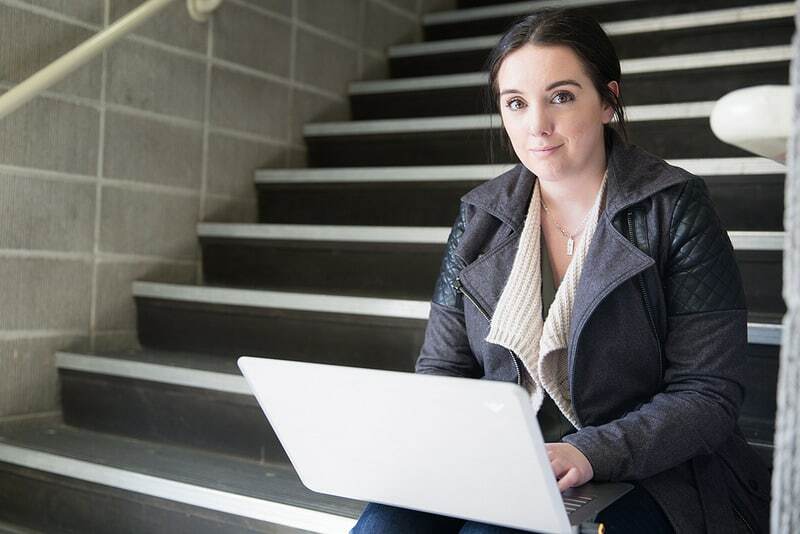 You can come in and explore 10 higher-paying careers traditionally seen as fields for men. Click here for all the details. We hope to see you there! What does it take to fix a leaky dog kennel? 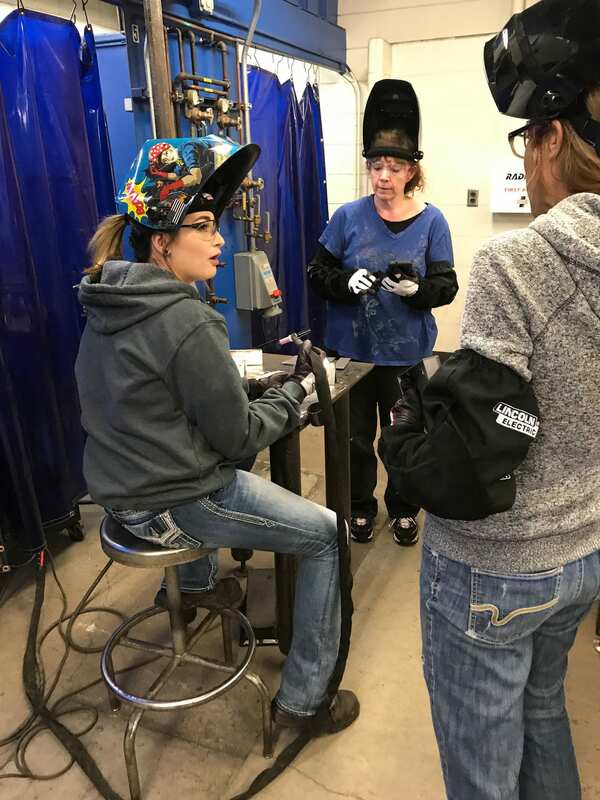 Seven Fond du Lac area ladies found out recently during Moraine Park Technical College’s Project Impact. The Humane Society of Fond du Lac had small, broken dog kennels with rotted and leaky drain troughs. These had become so bad that staff couldn’t use them for anything other than storing blankets and supplies. 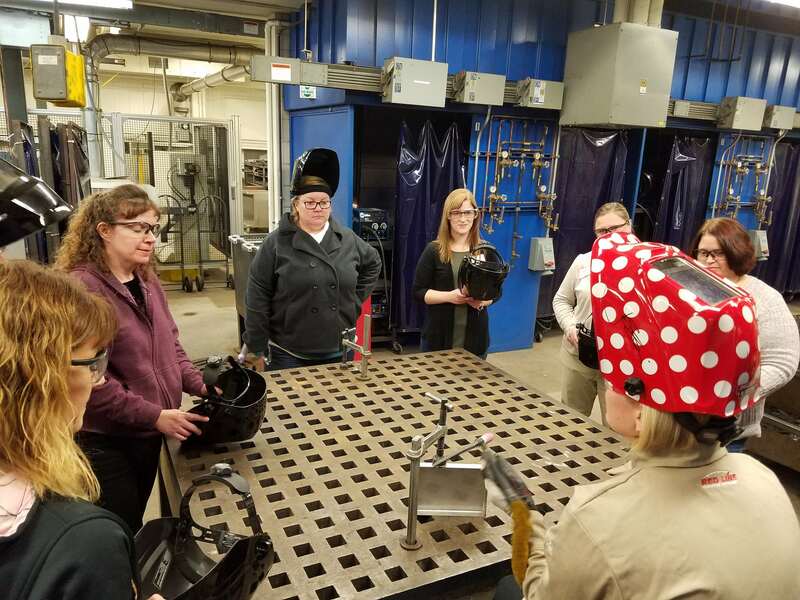 Four manufacturing programs at Moraine Park got together to show several area women how to plan, design, build, and install new troughs in this collaboration of community and instruction. Moraine Park’s Project Impact was also recently featured on one of WBAY’s news broadcast, showcasing the work our instructor Larry Clark and the students put into the project. Every year people make a list of resolutions for the new year of things they want to accomplish. This year, I will eat better; this year, I will hit the gym more; this year, I will become a better person, etc. Well, here at Moraine Park, one of our goals is to help better the community. How you ask? Well, with your help of course! Today is Equal Pay Day, a day that is still on the calendar because despite the 148 years of fighting for equal pay and despite a 54 year old law, women are still paid on average 20% less than men doing the same position. Why mark this occasion in April? Because that is how long it would take a woman to earn what a man earned the year prior. What’s worse, if you are a woman AND a minority it would take you even longer (Bureau of Labor Statistics, 2015).